Moshe Yaalon refuses to retract comparison between Duma family killing and Henkin murder. Former Defense Minister Moshe Yaalon refused to retract his statement that Israel was responsible for the murder of Chana and Eitam Henkin in 2015. In a video clip that surfaced earlier this week, Yaalon said that the Henkin family murder was a revenge attack for the arson in Duma that killed 3 members of the Dawabshe family. "We should not be surprised later when they cut down Arab olive trees or burn mosques and churches or even a family in Duma," Ya'alon had said. "The blood of the Dawabsha family in Duma and of the Henkin family who was murdered in a revenge attack is on our hands." Yaalon told Army Radio on Thursday that "my words were taken from my talk about the rule of law with the heads of Judea and Samaria local councils immediately after the murder of the Henkin couple. "Yesha Council leaders and ministers did not fulfill their responsibilities, whether by turning a blind eye to lawbreaking, or by humoring the law while ignoring the phenomenon of illegal construction, price tag attacks, or tree burnings." 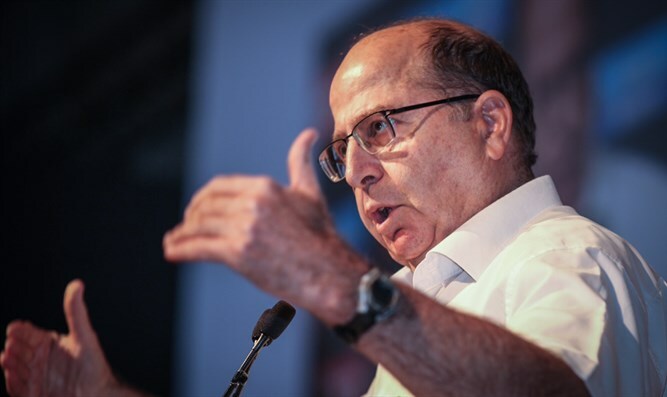 Ya'alon referred to the 2015 evacuation of Bet El's Dreynoff houses, claiming that security forces were attacked and 'price tag' attacks were carried out. "As soon as police and soldiers came, they attacked the soldiers and punctured police car tires. Public leaders were silent. "Afterwords there were 'price tag' attacks, such as burning trees, a church, a mosque and a family. In terms of this terrorist cell, you don't have to tell me that Hamas would have carried out attacks anyway, because in this case a specific cell went out to carry out an attack in retaliation for the murder of the Dawabsha family."